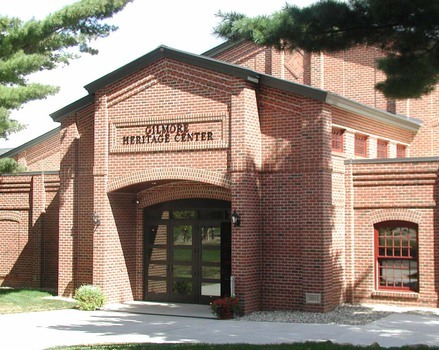 This is the show-side entrance/exit to the Heritage Center. We left off at the end of part one still exploring the pre-war room. Many of the cars in this gallery are certified Milestone vehicles that today are highly valued in the collector car marketplace. The last room before the Franklin gallery is the post-WWII display. Icons such as a '63 “split window” Corvette, a '49 Lincoln Cosmopolitan convertible, a '53 MG TD, '59 Cadillac Eldorado Barritz, '63 Buick Riviera, '57 Chevrolet Bel Air convertible, and one of the few remaining '63 Chrysler TurbineCars. Next time we will explore the H. H. Franklin Collection, the Lincoln Collection, and the Steam Barn “brass-era” annex buildings. To go to Gilmore visit, part 1 click here. 1929 Rolls Royce Phantom I assembled in Springfield, MA. 1951 Cadillac Series 62 convertible. 1953 Corvette roadster. This is number 26 of 300 produced by Chevrolet for the first year's run. 1953 Morris Garages TD roadster. The quintessential British sport car. 1954 Kaiser Darrin. Fiberglass-bodied sports car has a unique sliding door. 1957 Chevrolet Bel Air convertible. The bronze-colored beauty features a fuel injected 283 c.i. engine. 1957 Mercury Turnpike Cruiser. Most notable styling feature of this two-door hardtop is its reverse-slanted, roll-down rear window. 1958 Chevrolet Corvette. This special paint car was created as a concept car intended to showcase a special interior treatment. 1958 Ford Thunderbird convertible. With the introduction of a rear seat, sales for the T'bird soared! The epitome of fifties fins, the 1959 Cadillac Eldorado Barritz. A triple two barrel 390 c.i. V8 was standard on this upscale model. 1959 Nash Metropolitan two-door hardtop. This very early economy compact was produced for American Motors by Austin Motors of England. 1963 Buick Riviera. Buick's entry into the new personal luxury market. 1963 Chrysler TurbineCar. An experimental creation meant to test the viability of gas turbine propulsion. Only 55 examples were built. After 203 civilians were finished test-owning the cars, 46 were destroyed. 1963 Studebaker Avanti. Another fiberglass-bodied sport car, this one intended to compete directly with the Corvette. Only 4,600 were built in its first two model years. 1966 Ford Mustang GT 2+2.